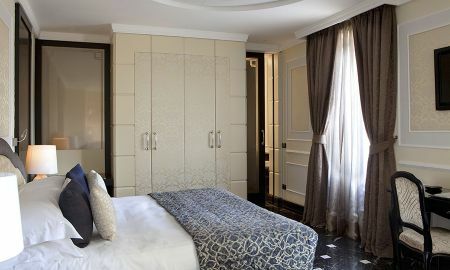 Rooms : 112, Timeless elegance, sublime attention to detail, centrally located, excellent facilities.This sumptuous hotel exudes old world charm and, at the same time, meets all the needs of the modern traveller. 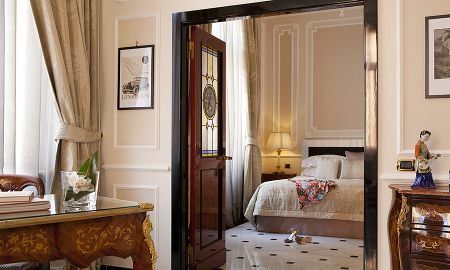 A stroll away from the most famous landmarks of the eternal city, Regina Hotel Baglioni is understandably popular with the international jet-set. An unforgettable location in this most memorable of cities.This stately building dating from 1904 completed renovations in 2007, providing guests with all the latest comforts in gloriously luxurious surroundings.Interiors are underpinned with a classical style and a strong art deco influence reigns.The new Brunello Lounge & Restaurant has a modern design, though arguably its most important asset is internationally acclaimed Chef Daniele Sera. A magical combination of fresh Italian produce and Mediterranean influences make for a fine dining experience that's hard to beat. Guests desiring a more modest fare can try the Caff? 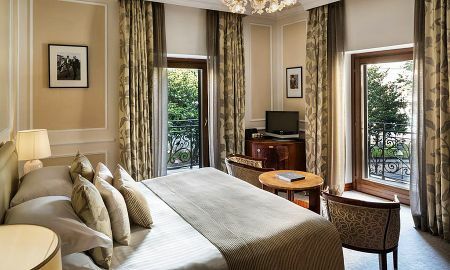 Baglioni, with its homely feel, located in the hotel's elegant lobby.To relax guests can take advantage of the fitness centre, swimming pool and spa or, to really take it easy, the terrace is an ideal place to read a book or enjoy the sun. 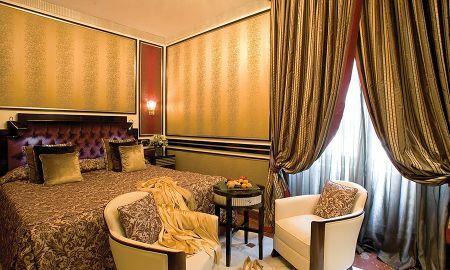 Take advantage of the hotel's wonderful location, stroll down to the famous Fontana di Trevi or up the Via Veneto to the lovely Borghese gardens. 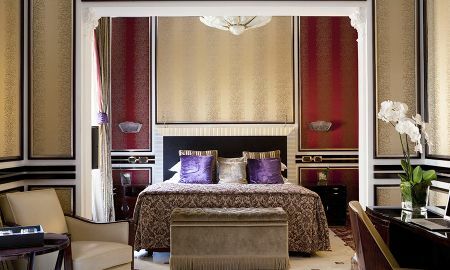 Whatever your itinerary, Rome, in all its glory, is on your doorstep. A city for culture vultures and lovers of history, it is also a shoppers paradise with designer boutiques and a range of more traditional products available. 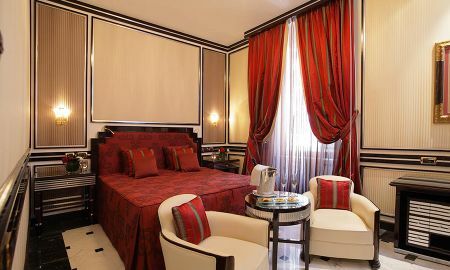 The hotel is well-communicated with access to public transport nearby.